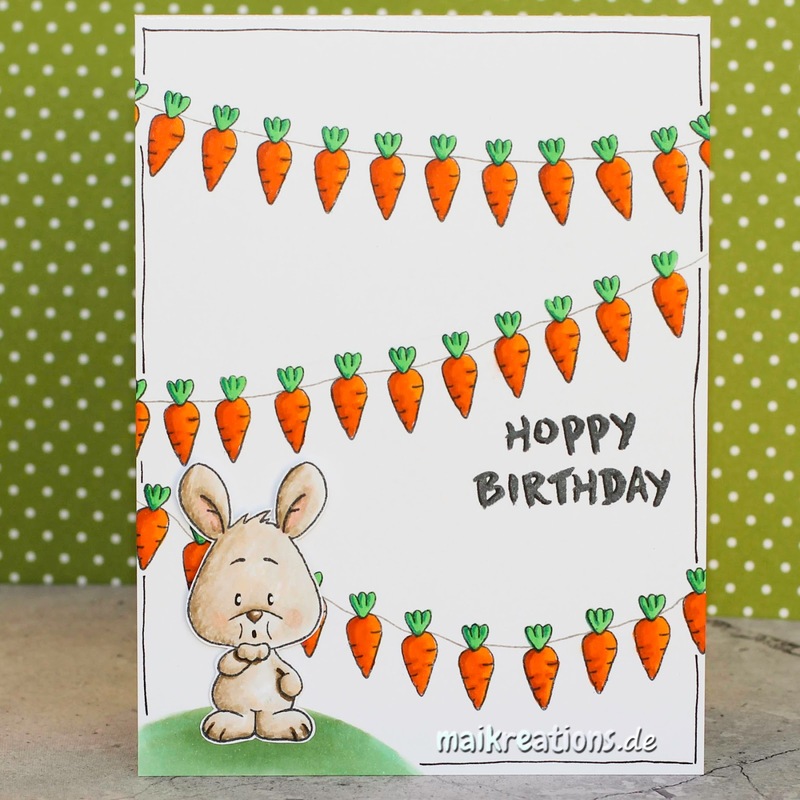 This is Maike from Maikreations and I am super excited to be guest designing here at the Gerda Steiner Designs blog for the month of March ;o) I had a lot of fun playing with the stamps and couldn't have been happier with the two sets I was given! For my first card I used the very cute "Happy Hoppy 4x6 Bunny Set". I made a birthday card this time, but you could easily adapt the design to an Easter card for example. 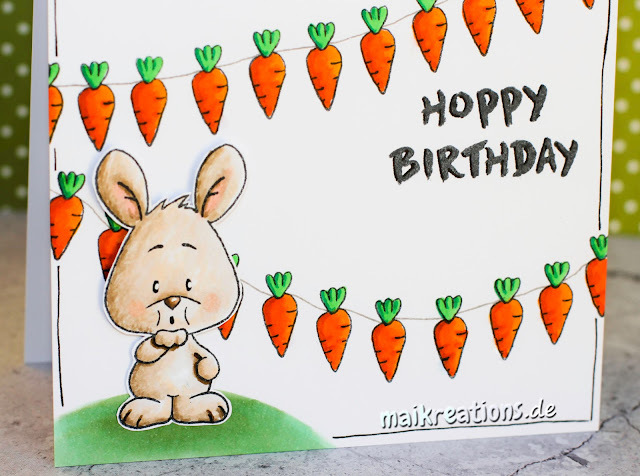 With the carrot in the set I stamped three garlands and coloured them using Copic markers. Next I stamped and coloured the cute bunny from the set blowing a kiss. I thought the image was just perfect for a birthday card. After I had fussy cut him out I drew the hill for him to stand on and glued the cutie to the card. To give it more dimension I adhered the head with foam tape whereas I used regular snail tape for his bottom half. For my next step I had to cut the "Happy Birthday" sentiment which is included in the set apart and replace the word "Happy" with "Hoppy". So adorable Maike. I just love the carrot banner. Very cute. I hope see you again here. I really love the banners you made with these cute carrots!! So cute! 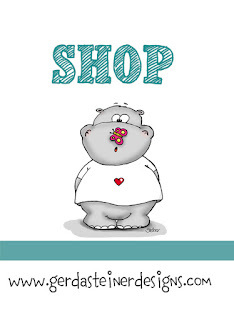 This card is so adorable!!!! I love those carrot banners!!! So creative!!!! What a sweet birthday card! Love the carrot garlands!